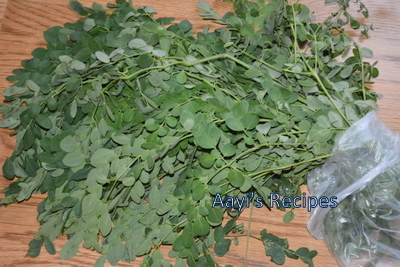 I grew up playing around moringa(maskasangi) trees. Everyone has atleast one tree in their garden in our place. My parents always told us how maskasangi was full of iron and slightly nudged us to eat it. But I had never tasted the leaves(pallo). Aayi would make phodi (which is still one of my all time favorite dishes) out of the flowers and the pods were used in many dishes. 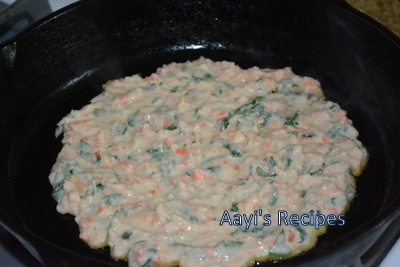 Few years ago, I started reading about leaves being used in many dishes and when I asked aayi, she also confirmed it. So I started buying it here and made up my own recipes. 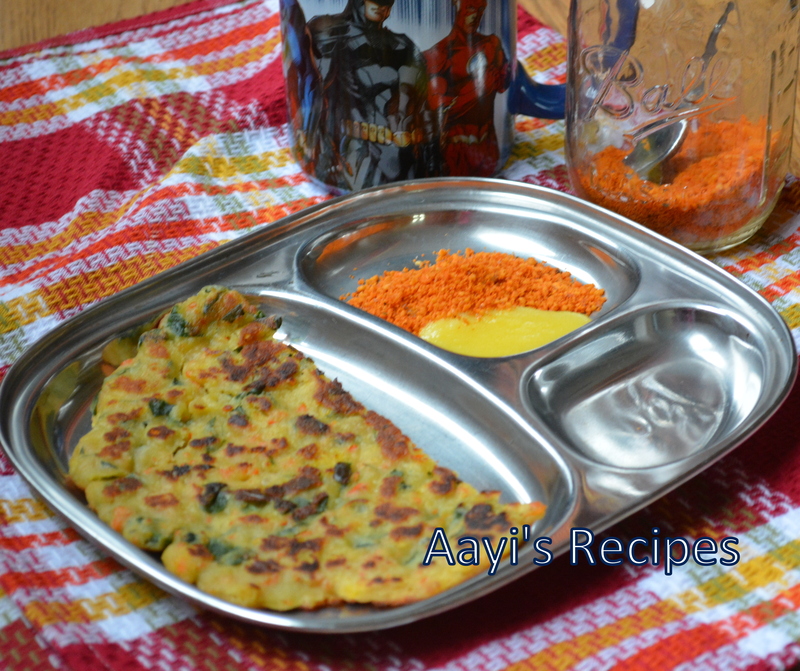 This Moringa leaves rotti is one such dish that I tried and we all enjoyed it very much. 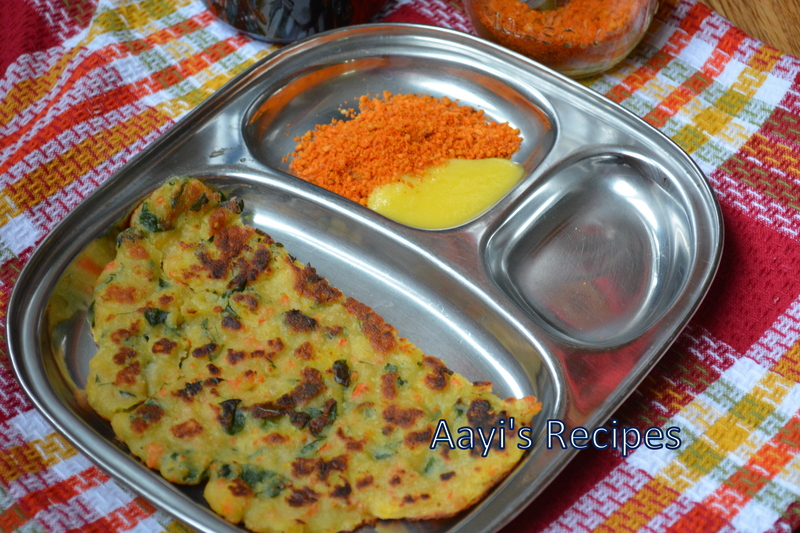 The first time I tried it, I prepared this with only rice flour. But then I started adding the other flours. These days I have started using almond flour a lot in my cooking. So this time, I used it in this rotti. 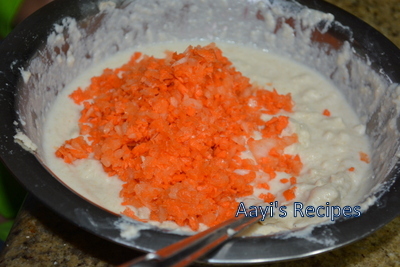 Adding warm milk to the flours cooks them slightly and gives a very soft rotti compared to using normal milk. Heat milk till it is hot (No need to boil it). 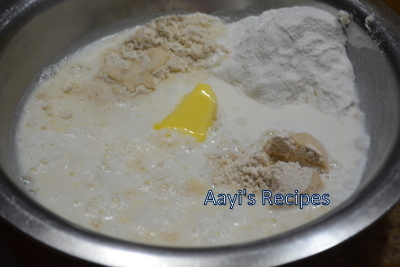 Take all the flours in a bowl, add butter, then pour the hot milk over it and mix well. 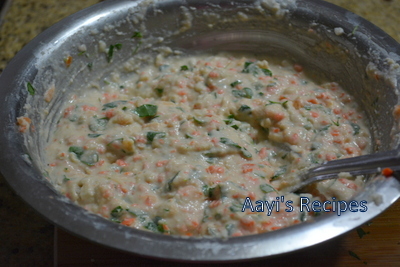 Add salt, chopped onions, carrots and chopped leaves (after removing all stems). Mix everything. Heat a cast iron tava (cast iron gives very nice crispiness to rotti). 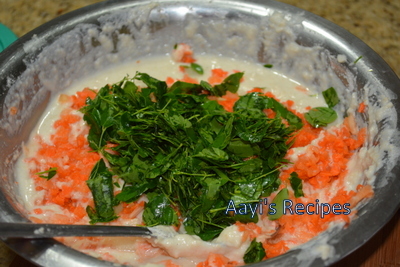 Spread little oil or ghee and then spread a half inch thick layer of the mixture on the tava with your fingers(Dip the fingers in water before handling the mixture to make it easier to spread). 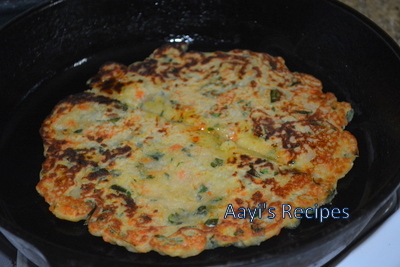 Cover the tava and let it cook, after couple of minutes, turn it upside down and cook on other side. 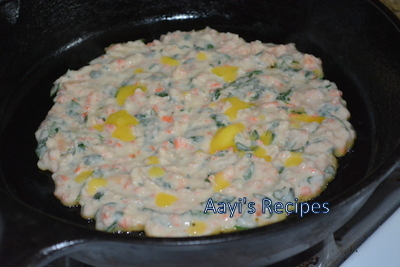 For a crispier texture, spread ghee/oil on top while cooking. Where do you find these leaves in The US?